Congratulations on the move! I hope everything went smoothly and you’re getting used to your surroundings. If you didn’t know you moved, please allow me to explain the change in the legislative landscape. Every 10 years, the state Legislature is constitutionally required to craft a plan defining new district boundaries to reflect population changes recorded in census data. The state Supreme Court voted unanimously to uphold a revised map of state House and Senate districts, after rejecting a set of previous maps last year. The move affects everyone reading this, as you either live in a new legislative district or have a new state representative...or both. Due to population increases in eastern and southeastern Pennsylvania, those regions of the state have a few new districts. For that reason, District 74, which I used to represent, is now in Chester County. I am the new state representative for the 73rd Legislative District. This change also means turning some constituents over to a good friend while I make new friends of my own in a neighboring county. The 73rd District now consists of the Clearfield County townships of Beccaria, Bell, Bigler, Boggs, Burnside, Chest, Cooper, Decatur, Ferguson, Greenwood, Gulich, Jordan, Knox, part of Lawrence (the Glen Richey, Golden Rod-Hillsdale and Hyde City precincts), Morris, Penn, Pike and Woodward; and the boroughs of Brisbin, Burnside, Chester Hill, Clearfield, Coalport, Curwensville, Glen Hope, Grampian, Houtzdale, Irvona, Lumber City, Mahaffey, New Washington, Newburg, Osceola Mills, Ramey, Wallaceton and Westover. My job now also includes getting to know residents of Cambria County who live in the townships of Barr, Blacklick, Susquehanna and West Carroll and the boroughs of Hastings, Nanty Glo, Northern Cambria and Vintondale. I’m looking forward to touching base with these municipalities and serving as their voice in Harrisburg. If you live in the Clearfield County township of Bloom, Bradford, Covington, Girard, Goshen, Graham, Karthaus, Pine or the Plymptonville portion of Lawrence, you are now a constituent in the 75th Legislative District. Your new voice in the General Assembly is a colleague who I know will do a great job for you. 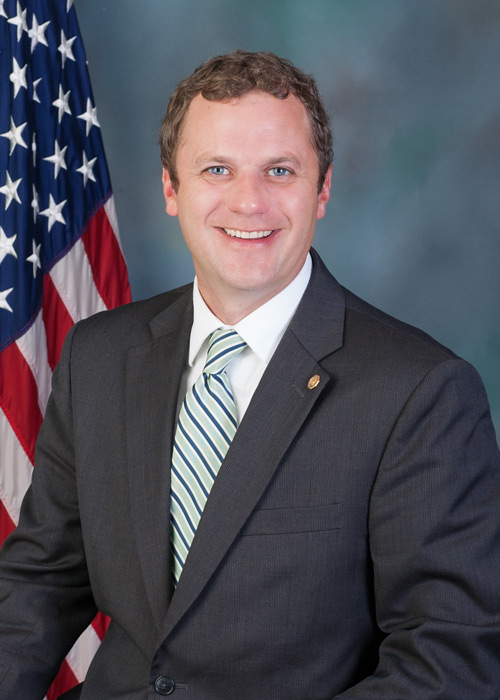 State Rep. Matt Gabler is about to begin his fourth term serving the 75th District, which includes the remaining municipalities of Clearfield County, as well as all of Elk County. Matt was born and raised in DuBois and is a captain in the U.S. Army Reserve. While coming from different backgrounds, Matt and I work well together. The doors to our district offices are always open for you and we’re both either a phone call or email away. For those of you who are now Matt’s constituents, his Clearfield County district office is in Suite 10 of the DuBois Area Plaza, 1221 East DuBois Ave., DuBois. We are working on an arrangement that will have us share my Clearfield office, which is located at 315 East Market St., Suite 100. In the process, we’ll be bringing state government to you while also reducing costs to the taxpayers by sharing an office. Matt and I look forward to hearing from you. He can be reached in DuBois at (814) 375-4688, or at Mgabler@pahousegop.com. Matt also has a legislative Facebook page at www.facebook.com/repgabler. If you live in the 73rd District, questions about this or any legislative issue may be directed to my Clearfield office at (814) 765-0609 or my Osceola Mills office at (814) 339-6544.